Both That Boy and That Wedding are told from the perspective of the main character Jaydn James Reynolds. AKA JJ, Jay, Jaybaby and Princess. 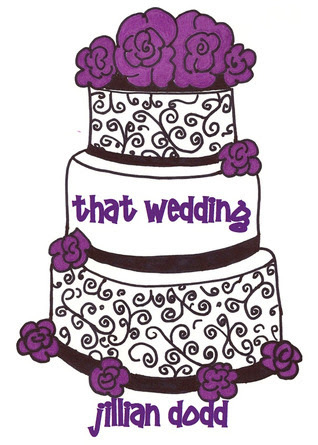 The story of That Boy unfolds with Jaydn freaking out at a surprise engagement party which "that boy" has sprung on her after having only been dating for a week! There, during the middle of Jaydn's freakout, you are transported back through her memories to her first kiss and then further reminisce with her throughout elementary, middle, high school and college. All of the pivotal milestones which have led her to this moment, the moment where she decides whether or not to give herself to the only boy she has ever truly loved, even if they have only been in a relationship for a week! During her flashback you get to meet Phillip and Danny her two best friends since childhood. It is so much fun hearing how they first met, the adventures they had, their fights, learning to kiss, Jaydn's dates and the boys reactions to those dates. You're there with Jaydn experiencing all the good times, all the times when she has struggled, all the times when she has fallen a little bit more in love with "that boy." There is no doubt about it...Jaydn loves both Phillip and Danny, but she is only "in love" with one of them. Ok, once you finish That Boy you are going to immediately want to start That Wedding! 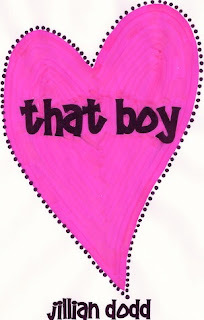 I will only refer to Jaydn's fiance as "that boy" so as not to spoil the first book for you. This story takes place in the present. Jaydn finally realized she is truly, madly and deeply in love with "that boy." She absolutely cannot imagine living her life with anyone else. All that being said, since they had such a short courtship, she is planning on a very long engagement. She figures they are going to need this time to see if they can even make it as a couple instead of just being friends. But you know life...it has a funny way of sneaking up on you and changing your plans. So what happens when Jaydn and "that boy" decide to move their wedding up??? What you would expect to happen, Jaydn completely freaks out and starts to question everything! Not to worry though because she has Danny and Phillip and as usual they are going to help her navigate through life just as they've always done. The thing I love most about reading is being able to connect with a character, feeling their emotions, happiness, sadness, fears, everything. Jillian does an amazing job with this and there were times during these stories where I was sobbing, actual unstoppable tears, but there were also times when I was rolling in the floor laughing. Some parts were so hysterical that I would stop and re-read them to my husband just to prove it was funny enough to be laughing out loud! One of the things I love most about this series is that it is so true to life. Jaydn's life is far from perfect, but she is so fun loving and heartwarming you cannot help but fall more in love with her character every time you turn the page. Her relationships and connections wtih Danny and Phillip are so believeable, the texts, discussions and things they go through as friends make you love them both as well. Their relationships with each other also prove that family isn't just being related by blood but by being connected to one anothter through life and love. In summary, I would have to say Jillian Dodd is a fantastic author, if you are looking for a fun and fabulous read with two hot and loving boys, do not look any further, go buy That Boy and That Wedding now. You won't regret it. Once you read it you will understand why they are on our MUST READ list. Look for That Baby to be released in 2014.